Review | BBLUNT Back To Life Dry Shampoo - For Instant Freshness! Review | BBLUNT Back To Life Dry Shampoo – For Instant Freshness! Hi everyone! Today I am going to review a product which can be your perfect companion for those lazy days when you don’t feel like washing your hair or are in a hurry to go somewhere but your hair look like a complete mess! The product is none other than the BBLUNT Back To Life Dry Shampoo which instantly refreshes your messy hair and brings it back to life! Are you excited to know about the product in detail? 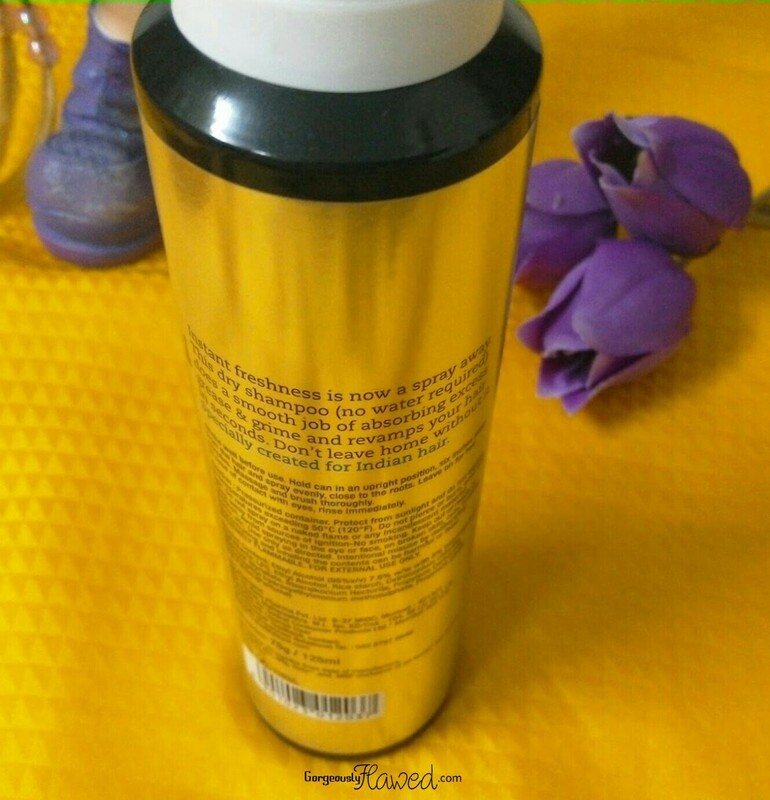 Then keep on scrolling for the review of BBLUNT Back To Life Dry Shampoo. Instant freshness is now a spray away. This dry shampoo (no water required) does a smooth job of absorbing excess grease & grime and revamps your hair in seconds. Don’t leave home without it. 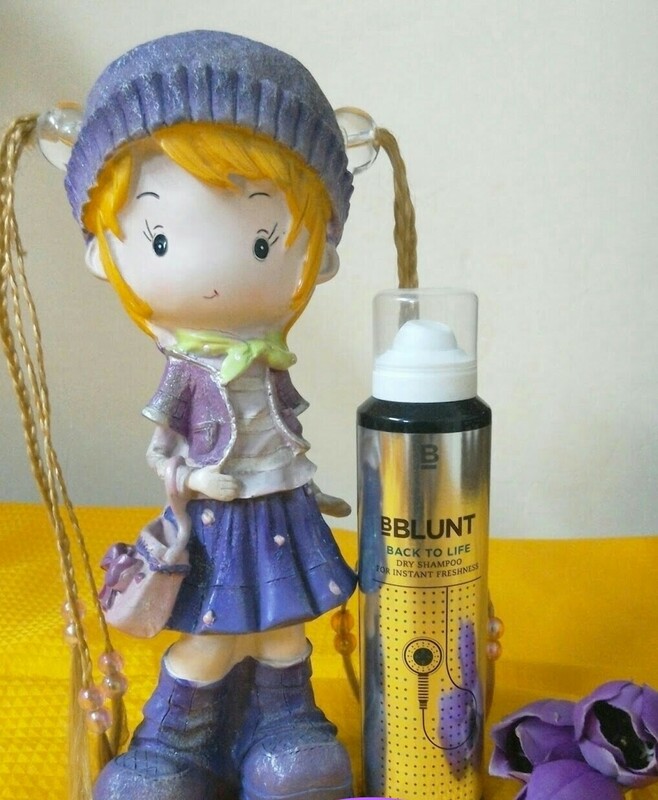 My Take On BBLUNT Back To Life Dry Shampoo – For Instant Freshness! Just like the BBLUNT Spotlight Hair Polish, The BBLUNT Back To Life Dry Shampoo also comes in a light weight bottle. The bottles’s spray nozzle is a little hard to press (I am assuming that it’s just a manufacturing defect on the can I received) but no worries, it is still usable so no minus point for this! I mostly wash my hair every 2-3 days because I cannot tolerate greasy scalp and hair. Oh, but there are days when I can’t wash them because.. I have slept the whole day and I can’t shower in the evening because I’ll get sick (= no shower day). … OK that was too much information, but any person on the earth can relate to these situations! So that is when I need something that can do some magic to my hair and bring them “back to life”. I tried BBLUNT Back To Life Dry Shampoo on my third-day hair. It helped me to control the greasiness in my hair. When I sprayed it on, I noticed some powderish white cast on my hair. But it immediately went away after I ran my fingers through it to “blend” the product after a couple of minutes. 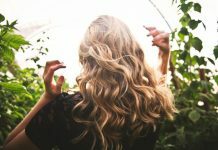 The brand also recommends leaving the product as it is for two minutes and then massaging it slowly into the scalp using fingertips or a comb. While using this product, I was concerned about my scalp as it contains a lot of chemicals and my scalp gets those sebum plugs easily, but fortunately, it didn’t have any adverse effects on the scalp. Don’t know if there’s any “staying power” thing for this product because my hair were still looking the same (fresh and happy) when I came back home after 4 hours. I washed my hair the very next day I used it and I didn’t notice any change in texture of my hair, but they were looking little “dull” in the morning (after about 12 hours of usage). If you are a college/office goer and you don’t get time to wash your hair everyday to make it look presentable, then this is the product that will come to your rescue! I won’t recommend that you use it everyday, once or twice in a week is an OK frequency to use it – not more than that. Gives the “fresh” look to my unwashed hair. Doesn’t cause any hair fall. Has perfume so it smells good. Have you tried the BBLUNT Dry shampoo yet? Let me know in the comments below! Previous article3 Easy & Healthy Dry Fruit Snacks That You Can Make At Home! same pinch on the reasons for no shower day 😛 Never tried dry shampoos though. will check this out. Latest Posts That You May Like! What Is Collagen Supplement & What Are Its Skincare Benefits?